With firearm ownership comes responsibility to store your guns safely and securely. While there are many different circumstances among individual gun owners, and there are some who require that their guns be loaded at all times, Arizona Firearm Injury Prevention Coalition recommends that whenever possible gun owners should store firearms unloaded and locked up, especially if there are children living in or visiting your home. There are many methods to lock firearms safely. While no security device can guarantee one hundred percent success at all times, every good locking method should provide, as a bare minimum, prevention from misuse by small children. Your choice of the best method to lock away your firearms depends on how certainly you wish to prevent misuse by older children and prevent theft. Handguns are more often misused by unauthorized persons than long guns. There are a variety of effective, secure storage methods. Some are designed to keep the firearm from being loaded or fired, but don't prevent the firearm from being handled. Some are containers that hold the firearm out of sight and out of reach, and some prevent theft as well as misuse by minors. Some experts have advocated disassembling the firearm and separately locking the parts. Many experts recommend locking ammunition and ammunition components separately from firearms. Note: "Hiding" a firearm won't secure it from discovery and possible misuse by curious children or intruders. Trigger locks can fail, but usually good trigger locks are effective in preventing small children from using the firearm. The firearm should be unloaded when a trigger lock is applied. The firearm should not be loaded while the trigger lock is in place. 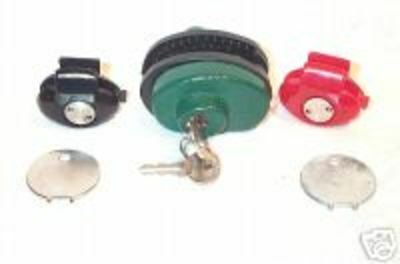 Trigger locks use either a key or a combination locking mechanism. They do not prevent theft. There is no national safety standard for trigger locks, but the State of California adopted standards for such locks. A list of locks that have been tested and approved is available at http://caag.state.ca.us/firearms/fsdcertlist.htm. 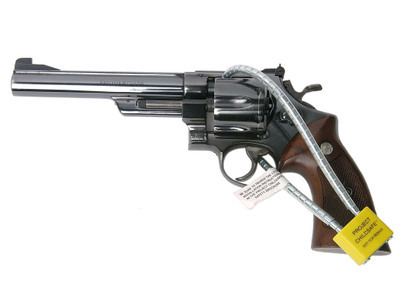 Properly applied cable locks, which appear like bicycle locks, can render firearms inoperable. They can be installed on handguns or long guns. Their braided steel design makes them difficult to cut. Their chief appeal is wide applicability at low cost. They do not prevent theft. Gun cabinets are used primarily for long guns. Glass-faced display cabinets, even when locked, offer minimal security. Metal cabinets offer much better security, but pry bars can sometimes defeat them. They offer minimal protection against theft. Metal lock boxes, designed primarily for handguns, keep firearms out of sight and untouchable by children. Some locking devices for lock boxes allow the owner access to the firearm within seconds, even in the dark. Some use finger-pressure combination locks. Unless they are bolted to the floor or wall, they do not prevent theft. 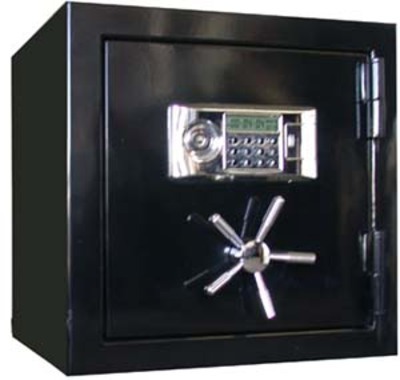 Gun safes are the most secure and the most expensive form of storage for firearms. They vary in quality and completeness of security, but most can prevent both misuse by minors and theft.